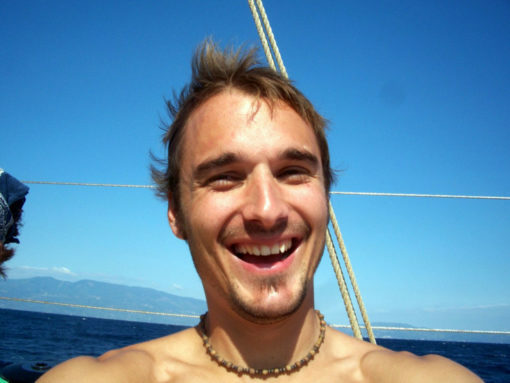 Living Journey Sailing Expeditions are spiritual treasure hunts for men, (and women). These ‘retreats’ were developed by a group of guys, weary of a performance based Christianity, tired of pretending, and hungry to know the true gospel. Jesus came that we would have life – and “life to the full”. Still many of us in the Christian faith eventually find ourselves tired and frustrated. Imitating Jesus turned out to be much harder than we thought. We are worn down by all the “should’s” and “must’s”. Self-help programs, latest spiritual ”techniques” or trying harder simply doesn’t do it for us anymore. ‘Pep-talks’ or ‘re-commitments’ won’t sustain us. Thats when we discover that we need more than improvement. We need New Life. 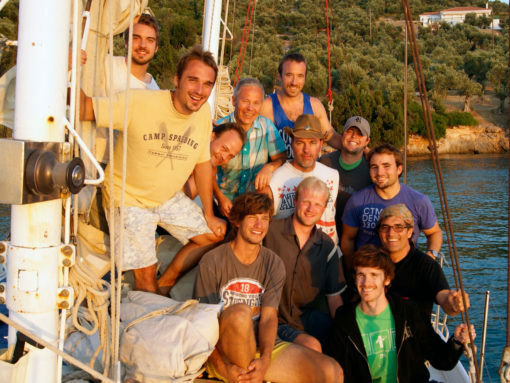 The Living Journey Sailing Expedition are highly recreational, deeply spiritual, non-religious, Christian, get-a way’s for men, (and women), who are hungry to discover the real meaning of being a new creation. Welcome aboard as we set sails for discovery on a ”treasure hunt” for new life. Spending a week onboard a sailing yacht in the Mediterranean you’ll have a great opportunity to also rest, relax, navigate, learn to sail, steer, wine & dine, swim, and enjoy God’s great creation in full. Though we will admittedly go to sea in almost anything that floats – and nearly anywhere, we operate primarily in Croatia aboard modern charter yachts in the 50+ foot range. The charter boats have 5 double cabins and most modern conveniences. There is also a large saloon, which can sleep two people, plus plenty of room in the cockpit and on deck for those wishing to sleep under the stars. We are usually a fairly international group on board. We will keep it to 10 people max. 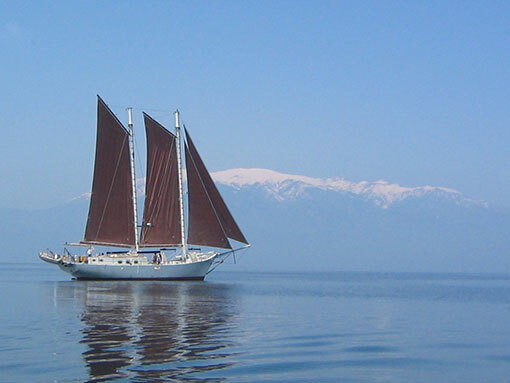 Occationally we also arrange trips in Greece aboard a larger two-masted schooner with room for 12-14 people + crew. 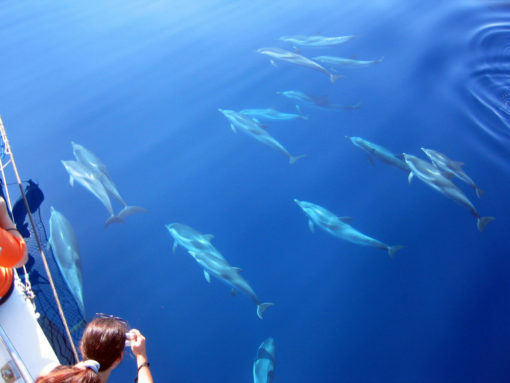 We’ll be sailing in one of the finest cruising areas anywhere – in and around the Kornati national park in the Adriatic. This big archipelago with literarily hundreds of islands offers plenty of protection and provides sheltered seas and calm anchorage in almost any weather. We try to stay in natural harbors for the nights as far as possible and only go into ports when needed. There is no set route as we don’t need to get anywhere in particular, the journey is the destination. In Greece we sail in the Sporades, a marine park around the islands Skiathos, Skopelos and Alonnisos in the North Agean sea. Check in regularly for information on our upcoming trip(s), or sign up on the mailing list below and we’ll make sure to send you an invite when dates and prices are fixed. Most likely our next trip will be in either Croatia or Greece. Price To be announced. All inclusive: full board, taxes and fees. Not included; your personal travel to & from the port of Skopelos + travel insurance. Sign up on the mailing list and we'll make sure you'll be the first to know about future opportunities. Success, your request was sent. Please check your e-mail for a confirmation link. It should be there within a few minutes. We are sworn by blood oath to guard and protect all your private secrets. Whatever you send us, we store in a locked (encrypted) treasure chest, well hidden. We will never sell you out, or pass on any information regarding you. Neither for money or political gain. We will never let any governments, organizations, businesses or individuals get any access to our data. We are also sworn by oath to destroy and dump your private secrets in the deep ocean at your request. We do not install anything on your computer or track you through our website, except for possibly some simple cookies displaying the images and forms on this site. You are safe with us. Pirates honor! As a matter of fact, we recommend that you install and use VPS whenever you surf on the web. It is a dark and sinister world we live in. Life on board revolves around rest, recreation and reflection. Our aim is to create a safe environment where we can truly be ourselves, unwind, reflect and examine our life direction in a non-threatening way. We really value good food, a cold beer in the heat of the day and a decent glas of wine with the meal. We therefor have a generous food budget. With a dedicated cook on board we attempt to provide the best possible meals within the constrains of a small galley and limited cold storage on board. We serve an international cuisine focusing on good local produce. If possible we’ll also barbecue a couple of evenings. Meal times tend to be one of the highlights of the day. If you have any dietary restrictions please do not hesitate to let us know in good advance. We will do our utmost to provide alternatives for you. A usual day starts with a rich, (but not particularly early) breakfast. Depending on the weather, and general consensus, we might either stay around the rest of the morning for swimming and relaxation, or we might hoist the sails and set out for a new destination at once. Around mid-day we’ll eat a proper lunch. This could be either while underway, or at anchor or in port. Snacks and drinks are readily available throughout the day so no one will go hungry. We’ll usually sail at least 3-4 hours per day. 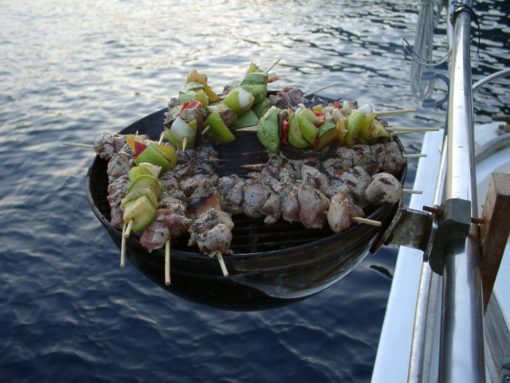 In the late afternoon we’ll anchor in a natural harbor or go into a small port where we’ll enjoy a big dinner on board. The evening usually starts with a gathering in the saloon. With the help of movie clips and discussion we take a closer look at topics such as human nature, grace & law, forgiveness, surrender, transformation, and new identity in Christ. This is all done in a very informal and non-threatening way. 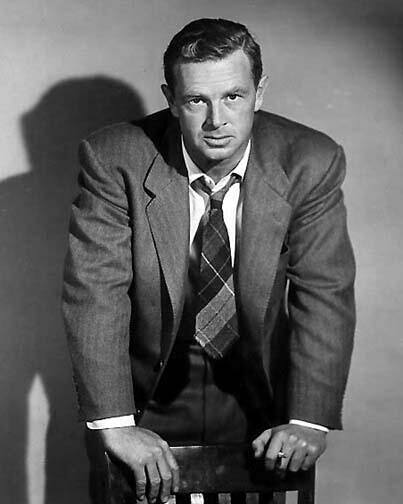 We often end up sitting around the saloon table talking late into the evening, though some might fancy an night swim or stroll ashore. Our destination is also a spiritual one. The inner journey is designed to be one of reflection and discovery of our true identity. The evening presentations are very honest, and done in a very relaxed manor. We purposely steer clear of the more common “religious packages” such as prayer times and bible study sessions. We have no set expectation on anyone onboard. We strive to provide an open environment for honest sharing, regardless of background or tradition. We often have 3-4 different nationalities plus many different backgrounds, culturally and confessionally, on board. This offers a tremendous opportunity for reflection in a more diverse context than most of us have back home. Being at sea creates a dynamic we seldom experience elsewhere. As a group we’ll have to work together to navigate and maneuver the ship. It keeps us present in the moment and offers an renewed experience of humility and freedom as we depend on each other to get to our anchorage. Stepping into a boat is a very accurate image of what our personal spiritual journey is like. We are never really in control. Instead we try to read the sky and position ourselves according to how the wind blows but in the end God takes us to where he wants to. And that always means to a new place. These retreats are designed to be safe, where we can come as we are and not as we should be. We sincerely try to be generous, gracious and honest as we share together through the week. That being said, the message of the gospel itself can be very ”threatening” to many aspects of our self-life. This is a designated time particularly for those who are spiritually hungry, daring to move ahead and ready to discover the deeper meaning of being a new creation. It is not a time to ‘pose’ or ‘talk shop’. It is an opportunity to let go of our precious accomplishments and be swept away by the unconditional love of God.